Galway County Council is the authority responsible for local government in County Galway, Ireland. As a county council, it is governed by the Local Government Act 2001. The council is responsible for housing and community, roads and transportation, urban planning and development, amenity and culture, and environment. The council has 39 elected members. Elections are held every five years and are by single transferable vote. The head of the council has the title of Cathaoirleach. The county administration is headed by a Chief Executive. The county seat is at Áras an Chontae in Galway city. Ardrahan is a village in County Galway, Ireland. A Peace Commissioner is an honorary position in Ireland with special powers and whose role is to primarily taking statutory declarations, and witnessing signatures on documents required by various authorities. Peace Commissioners have the power to issue summons and warrants and to sign certificates and orders under various Acts of the Oireachtas. Galway West is a parliamentary constituency represented in Dáil Éireann, the lower house of the Irish parliament or Oireachtas. The constituency elects 5 deputies. The method of election is the single transferable vote form of proportional representation (PR-STV). The Galway Advertiser is a free newspaper distributed throughout Galway city and county on Thursdays. It was the first of the regional newspapers under the "Advertiser" banner, which now also includes publications based in Athlone and Mayo, as well as advertiser.ie. Cllr Fahy is also particularly anxious to have the media refrain from referring to him as 'The Stroke' in the future. He never took offence at the term in the past, because it was used in the context of a different situation. But he never stood before the people as 'The Stroke' Fahy and he would be grateful if the media would henceforth refer to him by his proper name. 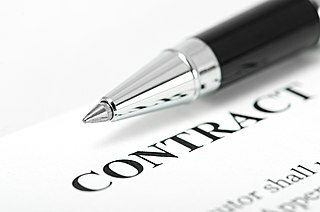 An oral contract is a contract, the terms of which have been agreed by spoken communication. This is in contrast to a written contract, where the contract is a written document. There may be written, or other physical evidence, of an oral contract – for example where the parties write down what they have agreed – but the contract itself is not a written one. In local government in the Republic of Ireland, the chief executive of a city or county is the senior permanent official of its local authority. Whereas the county council and city council are elected officials who formulate policy, the chief executive is an appointed official who manages the implementation of policy. The position was introduced in 1929–42 based on the American council–manager government model, and until 2014 the chief executive was styled the county manager or city manager. Their salaries range from €132,511 to €189,301 per annum. The County and City Management Association is the professional association for chief executives, and it is affiliated to the International City/County Management Association (ICMA). The Sanctuary of Our Lady of Lourdes or the Domain is an area of ground surrounding the Catholic shrine (Grotto) to Our Lady of Lourdes in the town of Lourdes, France. The Sanctuary is a destination for pilgrimage; sick pilgrims are reputed to be miraculously healed by Lourdes water. This ground is owned and administered by the Roman Catholic Church, and has several functions, including devotional activities, offices, and accommodation for sick pilgrims and their helpers. The Domain includes the Grotto itself, the nearby taps which dispense the Lourdes water, and the offices of the Lourdes Medical Bureau, as well as several churches and basilicas. It comprises an area of 51 hectares, and includes 22 separate places of worship. There are six official languages of the Sanctuary: French, English, Italian, Spanish, Dutch and German. The Circuit Court of Ireland is an intermediate level court of local and limited jurisdiction in the which hears both civil and criminal matters. On the criminal side the Circuit Court hears criminal matters tried on indictment with a judge and jury, except for certain serious crimes which are tried in either the Central Criminal Court or the Special Criminal Court. On the civil side the Circuit Court has a considerable parallel jurisdiction — including equitable remedies — with the High Court but normally cannot award damages of more than €75,000. The Circuit Court also hears de novo appeals from the District Court in both civil and criminal matters. Loughrea is a town in County Galway, Ireland. The town lies to the north of a range of wooded hills, the Slieve Aughty Mountains, and the lake from which it takes its name. The town is also famous for its cathedral which dominates the town's skyline. The town has increased in population in the late 20th and early 21st centuries. Although the town also serves as a commuter town for the city of Galway, it retains its vibrancy as an independent market town. In common usage, theft is the taking of another person's property or services without that person's permission or consent with the intent to deprive the rightful owner of it. The word is also used as an informal shorthand term for some crimes against property, such as burglary, embezzlement, larceny, looting, robbery, shoplifting, library theft, and fraud. In some jurisdictions, theft is considered to be synonymous with larceny; in others, theft has replaced larceny. Someone who carries out an act of or makes a career of theft is known as a thief. The act of theft is also known by other terms such as stealing, thieving, and filching. The Criminal Justice Act, 2001 updates and consolidates the law relating to dishonesty and fraud in the Republic of Ireland. Raphael Patrick Burke is a former Irish Fianna Fáil politician who served as Minister for Foreign Affairs from June 1997 to October 1997, Minister for Justice from 1989 to 1992, Minister for Communications from 1987 to 1991, Minister for Industry and Commerce from 1988 to 1989, Minister for Energy from 1987 to 1988, Minister for the Environment from March 1982 to December 1982 and 1980 to 1981 and Minister of State at the Department of Industry, Commerce and Energy from 1979 to 1980. He served as a Teachta Dála (TD) from 1973 to 1997. Éamon Ó Cuív is an Irish Fianna Fáil politician who has been a Teachta Dála (TD) for the Galway West constituency since the 1992 general election. He previously served as Deputy Leader of Fianna Fáil from 2011 to 2012, Minister for the Environment, Community and Local Government and Minister for Defence January 2011 to March 2011, Minister for Social Protection from 2010 to 2011, Minister for Community, Rural and Gaeltacht Affairs from 2002 to 2010, Minister of State at the Department of Arts, Heritage, Gaeltacht and the Islands from 2001 to 2002 and Minister of State at the Department of Agriculture, Food and Rural Development from 1997 to 2002. He served as a Senator for the Cultural and Educational Panel from 1989 to 1992. Mary Kathleen Hanafin is an Irish Fianna Fáil politician who served as Minister for Tourism, Culture and Sport from 2010 to 2011, Deputy Leader of Fianna Fáil from January 2011 to March 2011, Minister for Enterprise, Trade and Innovation from January 2011 to March 2011, Minister for Social and Family Affairs from 2008 to 2011, Minister for Education and Science from 2004 to 2008, Government Chief Whip from 2002 to 2004 and Minister of State for Children from 2000 to 2002. She served as a Teachta Dála (TD) for the Dún Laoghaire constituency from 1997 to 2011. Noel Grealish is an Irish Independent politician who has been a Teachta Dála (TD) for the Galway West constituency since the 2002 general election. Galway South was a parliamentary constituency represented in Dáil Éireann, the lower house of the Irish parliament or Oireachtas from 1948 to 1961. The constituency elected 3 deputies to the Dáil, using the single transferable vote form of proportional representation (PR-STV). Declan McDonnell is an independent politician in Ireland, having previously been a member of the Progressive Democrats. He was elected in June 2009 as Mayor of Galway, He had held the office from 1999 to 2000. Pulling a stroke is a phrase used in Ireland to describe an act of deceit performed for personal gain. Elsewhere similar practices are referred to as "pulling a fast one". Successfully pulling a stroke is often seen in a positive light and stroke pullers are often commended or thought of highly, even if the act involved illegal activities or serious rule-bending, and are sometimes seen as loveable rogues. Sean McEniff was an Irish businessman and Fianna Fáil politician from County Donegal. He was a member of Donegal County Council, representing the Donegal Electoral Area. At the time of his death in 2017, he was the longest serving councillor in Ireland. An election to Monaghan County Council took place on 23 May 2014 as part of that year's Irish local elections. 18 councillors were elected from three electoral divisions by PR-STV voting for a five-year term of office, a reduction of 2 seats compared to 2009. Monaghan also saw a further reduction in elected representation as Ballybay Town Council, Carrickmacross Town Council, Castleblayney Town Council, Clones Town Council and Monaghan Town Council were all abolished. An election to Roscommon County Council took place on 23 May 2014 as part of that year's Irish local elections. 18 councillors were elected from three electoral divisions by PR-STV voting for a five-year term of office, a reduction in 8 seats from the previous election in 2009. In addition Boyle Town Council was also abolished. An election to Galway County Council took place on 23 May 2014 as part of that year's Irish local elections. 39 councillors were elected from five electoral divisions by PR-STV voting for a five-year term of office, an increase in 9 seats from 2009. In addition Ballinasloe Town Council, Loughrea Town Council and Tuam Town Council were all abolished. An election to Galway City Council took place on 23 May 2014 as part of that year's Irish local elections. 18 councillors were elected from three electoral divisions by PR-STV voting for a five-year term of office, an increase of 3 seats when compared to 2009. An election to Westmeath County Council took place on 23 May 2014 as part of that year's Irish local elections. 20 councillors were elected from three electoral divisions by PR-STV voting for a five-year term of office, a reduction of 3 seats compared to 2009. In addition Athlone Town Council and Mullingar Town Council were both abolished. An election to Meath County Council took place on 23 May 2014 as part of that year's Irish local elections. 40 councillors were elected from six electoral divisions by PR-STV voting for a five-year term of office, an increase of 11 seats from 2009. A Dún Laoghaire–Rathdown County Council election was held in Ireland on 23 May 2014 as part of that year's local elections. Forty councillors were elected from a field of 85 candidates for a five-year term of office from six local electoral areas by proportional representation with a single transferable vote. An election to South Dublin County Council took place on 23 May 2014 as part of that year's Irish local elections. Forty councillors were elected from six local electoral areas by proportional representation with a single transferable vote for a five-year term of office. An election to Carlow County Council took place on 23 May 2014 as part of that year's Irish local elections. 18 councillors were elected from two electoral divisions by PR-STV voting for a five-year term of office. Ahead of the 2014 election Carlow was redrawn into two electoral areas, a reduction in three from five, and the number of councillors was reduced to 18, from a previous total of 21. Carlow Town Council and Muinebheag Town Council were both abolished. An election to Limerick City and County Council took place on 23 May 2014 as part of that year's Irish local elections. 40 councillors were elected from six electoral divisions by PR-STV voting for a five-year term of office. This is a new local authority which was formed out of a merger from the abolished Limerick City Council and Limerick County Councils. A Tipperary County Council election was held in Ireland on 23 May 2014 as part of that year's local elections. Forty councillors were elected from a field of 85 candidates for a five-year term of office from five local electoral areas by proportional representation with a single transferable vote. Standards in Public Office is the title of an RTÉ programme broadcast on 7 December 2015. The programme featured three politicians, Hugh McElvaney, Joe Queenan of Fianna Fáil and John O'Donnell, in compromising positions. It was presented by Conor Ryan. 1 2 3 4 McDonald, Brian (11 December 2008). "'Stroke' has never been far from controversy". Irish Independent . Retrieved 24 October 2010. 1 2 3 4 5 6 Ann Healy (20 March 2007). "Councillor sentenced to year in jail, fined for fraud". The Irish Times. Retrieved 23 March 2008. ↑ "Miriam Lord's Week". The Irish Times. 1 December 2007. Retrieved 23 March 2008. 1 2 "FF councillor resigns amid funding probe". RTÉ.ie . 9 September 2004. Retrieved 24 October 2010. ↑ "Cllr Michael Fahy's conviction quashed". RTÉ News. RTÉ.ie. 31 May 2011. Retrieved 20 August 2011. 1 2 McGrath, Pat (3 April 2019). "Galway councillor Michael 'Stroke' Fahy dies" . Retrieved 3 April 2019. ↑ McDonagh, Patricia (11 April 2007). "I am very weak: Fahy". Irish Independent . Retrieved 24 October 2010. ↑ "Michael Fahy". ElectionsIreland.org. Retrieved 20 August 2011. 1 2 "michael stroke fahy". Irish Election Literature Blog. 9 January 2011. Retrieved 20 August 2011. ↑ Bradley, Lara (4 July 2004). "Wheeling and dealing in little white envelopes". Irish Independent . Retrieved 24 October 2010. ↑ O'Carroll, J. P. (28 November 2007). "Strokes, cute hoors, and sneaking regarders: the influence of local culture on Irish political style". In McGrath, Conor; O'Malley, Eoin. Irish political studies reader: key contributions. Routledge. p. 46. ISBN 978-0-415-44648-8 . Retrieved 24 October 2010. 1 2 3 4 "D.P.P.-v- Michael Fahy". IECCA 102. Courts Service. 28 November 2007. Retrieved 24 October 2010. 1 2 3 Kavanagh, Brian; Brian McDonald (1 June 2011). "'Stroke' Fahy clears name over €7,000 council fraud case". Irish Independent . Retrieved 20 August 2011. 1 2 3 McDonald, Brian (3 December 2008). "Fahy denies attempting to cheat council as trial opens". Irish Independent . Retrieved 24 October 2010. ↑ McDonald, Brian (21 March 2007). "'Stroke' Fahy jailed for fraud". Irish Independent. 1 2 3 4 5 6 McDonald, Brian (11 December 2008). "Judge urges Fahy to quit following fraud conviction". Irish Independent . Retrieved 24 October 2010. ↑ "Councillor found guilty of theft and fraud". The Irish Times. 7 March 2007. Retrieved 23 March 2008. ↑ "Galway Cllr to appeal fraud conviction". RTÉ.ie . 21 March 2007. Retrieved 24 October 2010. ↑ "Fahy treated in Galway hospital". RTÉ.ie . 3 April 2007. Retrieved 24 October 2010. ↑ "Galway councillor taken to prison". RTÉ.ie . 23 April 2007. Retrieved 24 October 2010. 1 2 3 "Local Government Act, 2001". Irish Statute Book. 21 July 2001. Retrieved 24 October 2010. ↑ "Fahy bids to save council seat from prison cell". Irish Independent . 10 September 2007. Retrieved 24 October 2010. ↑ McDonald, Brian (24 April 2007). "'Stroke' Fahy finally behind bars after health scare". Irish Independent . Retrieved 24 October 2010. ↑ "Seanad Electoral (Panel Members) Acts 1947 and 1954 Electoral Roll" (PDF). Irish Oifigiúil. Dublin: Stationery Office (52A Supplement): 9. 29 June 2007. Retrieved 24 October 2010. ↑ McDonald, Brian (5 July 2007). "Fraudster councillor to cast Seanad vote in jail". Irish Independent . Retrieved 24 October 2010. ↑ Phelan, Shane (30 July 2008). "Council paid Fahy while in prison". Irish Independent . Retrieved 24 October 2010. ↑ "'Stroke' Fahey in threat to sue the State.(News)". Daily Mail. 3 June 2011. Archived from the original on 6 November 2012. Retrieved 20 August 2011. ↑ "'Stroke' Fahy mourns death of mother". Irish Independent . 28 December 2008. Retrieved 24 October 2010. ↑ McDonald, Brian (29 December 2008). "'Stroke' Fahy bids final sad farewell to mother". Irish Independent . Retrieved 24 October 2010. ↑ "Plain sailing for FG in Loughrea". Connacht Tribune. 11 June 2009. Archived from the original on 3 October 2011. Retrieved 24 October 2010. ↑ Healy, Ann (6 May 2010). "Man admits plan to extort €5,000". The Irish Times . Retrieved 24 October 2010. 1 2 "Loughrea area cllr Michael Fahy considering return to Fianna Fail party". Connacht Tribune . 27 May 2014. Retrieved 26 January 2015. ↑ "Galway East". Election 2016. RTÉ.ie . Retrieved 27 February 2016.